Realm of The Dragons "ROTD"
GUYS THIS MOD IS ABANDONED NEW MODE HERE https://minecraft.curseforge.com/projects/dm2. Im kinda sad this project is abandoned. I really liked the gemstone approach on these dragons. Maybe in the future we will get like a ultimate dragon mod with gemstone and elemental dragons (maybe Asian dragons!!). Anyway, good work on this mod and DM2. Is the armor disableable and are certain types of dragons disableable, if not could you make it possible so I could play it more like the original Dragon Mounts? just dont craft it lol. Also if you are talking about the nests. They are replacement for the changed loot tables once used to replace the mineshaft chests. What is the difference between this and Dragon Mounts 2. Is there a github of the code, I am a moder and need help with my own custom dragon and egg. Is it still OK to use this in modpacks rather than dragonmounts 2 or is there some sort of licencing disagreement? you can still use it no problem with license, its just Im not updating it anymore, but you cant use dm and rotd at the same time because they use the ssame ender dragon eggs. Was the issue with biome s o plenty fixed in the final version of ROTD? It was and it still is. Hi I'm new here and I saw the video about the dragons and I want to try it. seems to me it was an error on it and it wont go more feather, but I have two forge one for the new one and the7.10 version. that one works, but I only have the ender dragon so happy and also I want the new ones. can you help me do I have to het another forge? I did but it crash my java one so I delete the other forge. 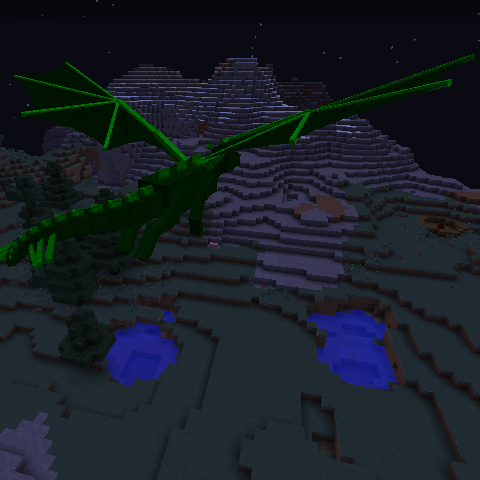 if not im happy to have the ender dragon ,but he vanish all the time when I left. Perhaps a note on this mod at the top to say "No further development" and a link to the replacement?